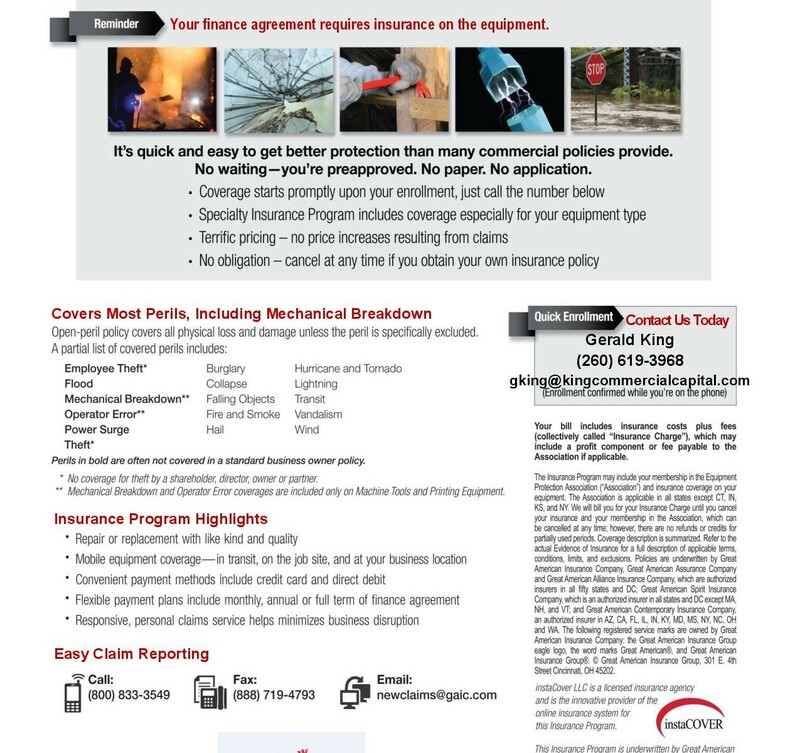 King Commercial Capital offers Equipment Insurance through InstaCover. Competitive Cost: Aggressively priced to compare with outside agents insurance charges. Convenience: Insurance is Instantly bound with one click of the mouse, InstaCover automatically bills and collects monthly, quarterly annually or full term, whichever way you choose. Compliance: Meets the financial institutions insurance lease requirements for property and liability coverage, right the first time. Claims: Repair or replace with like kind and quality in a timely and professional manner so you can get back up and running in no time. 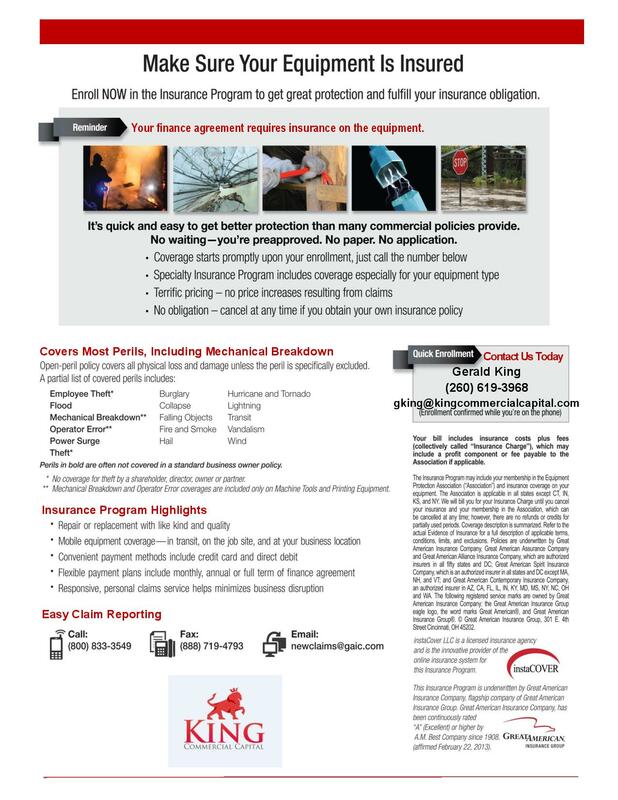 In the event of a claim, your BOP will not be affected as this is a separate policy. Set Price: Once entered into the InstaCover system, the asset is covered for the full term of the lease and the price cannot change, even do to a loss. No annual renewals needed. Once in the system, the insurance is in place until the end of the term unless cancelled by the customer or for non-pay. Can cancel at any time with no penalties. Mobile equipment coverage in transit, on the job site, and at your business location.